Planning a trip to Disneyland is almost as exciting as going to the park. Here are 12 tips to help you save money before you go and while you’re at the park. It doesn’t matter if you’re an adult or a kid; Disneyland is one of the funnest, if not THE funnest, place you can go on vacation. There is something magical about walking around the park, riding the rides and meeting the characters. As kids we never really realized how much time and money goes into planning those Disney trips. As a parent taking my kids I now know and appreciate my parents that much more! 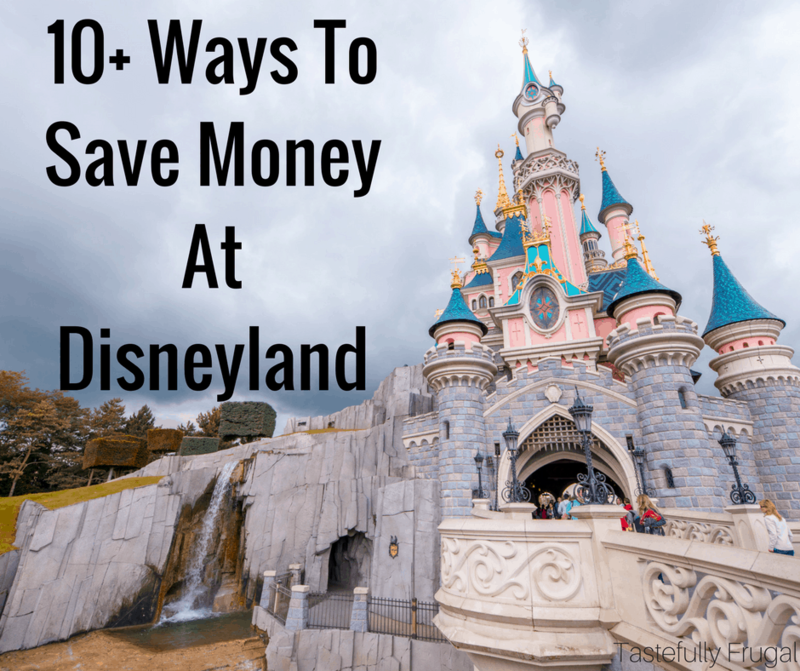 Here are a few things I’ve learned from our Disney trips that will help make your trip a little easier on your wallet. FREE GIFT CARDS. You read that right; there is a way to get free Disney gift cards that you can use at the park! 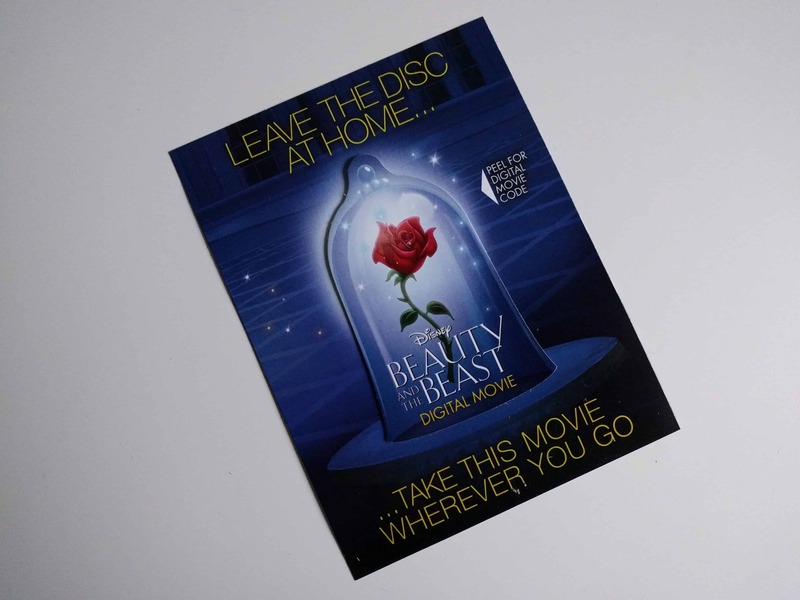 Have you noticed those cards that come inside Disney DVDs and Blu-Rays (the ones that have the code on them)? That code not only gives you the digital copy of your movie but it also gives you reward points (100 for DVDs, 150 for Blu-Rays) that you can use to buy merchandise at disneymovierewards.com. You can buy toys, movies and even gift cards that you can use at the Disney store, Disneyland or Disney World. 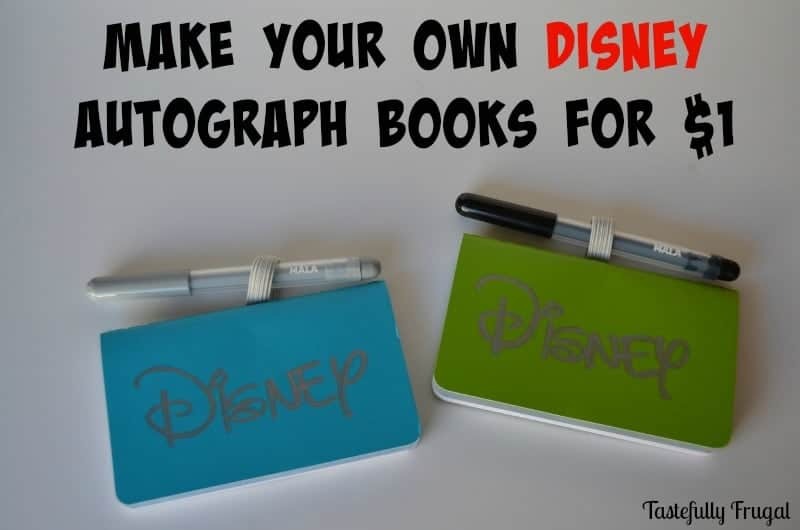 MAKE YOUR OWN AUTOGRAPH BOOKS. When I was younger one of my favorite things to do at Disneyland was meet the characters and get their autographs. The first time I took our boys I found out how expensive those autograph books were at the park so the next time I decided to make my own. You can check out the super easy tutorial here. BUY PERSONALIZED SHIRTS BEFORE YOUR TRIP. This one not only saves you money from having to buy shirts at the park but it also helps keep track of everyone and if someone from the group gets separated it’s easy to describe what they have on. 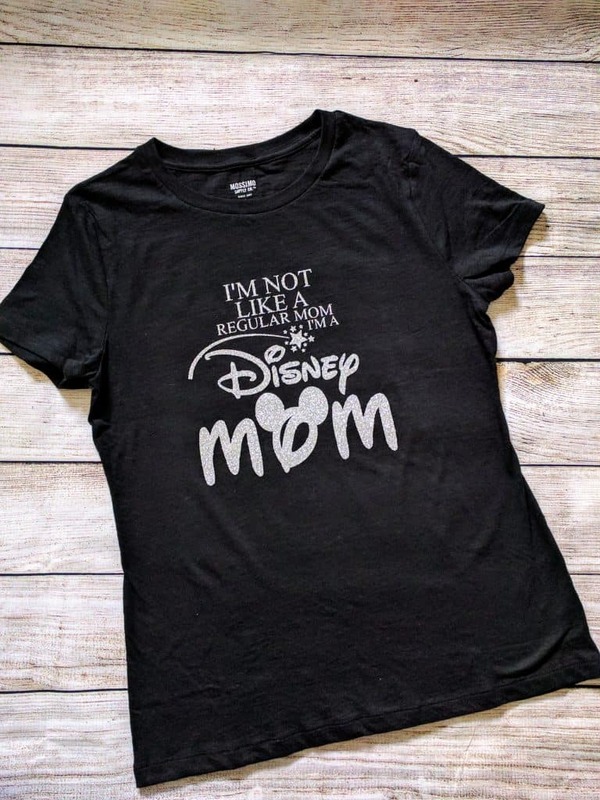 There are so many small shops on Etsy and Instagram that make Disney shirts with customization options too. My shop, Mahle’s Market, can do custom shirts for $17 for adults, $13 for kids and we offer FREE shipping! BUY SOUVENIRS BEFORE GOING TO THE PARK. Just like the clothing and autograph books at Disneyland, toys, books and other souvenirs aren’t cheap. You can get the same official Disney gear at the Disney Store but for a fraction of the price. AND they are almost always running a sale. We got Mahle’s Belle dress for $9 a few months ago (regularly $30). You can either take the kids before your trip and let them pick out their own gift or surprise them with a souvenir once you get back to your hotel. STAY AT A HOTEL THAT OFFERS FREE BREAKFAST AND EAT A BIG BREAKFAST. Not only does this save money at the park but it also saves time because you won’t have to stop as much to eat. When looking for hotels check to see which ones offer a free continental breakfast. They may be more than the ones who don’t but when you think about how much it costs to feed your family one meal in the park that extra $10-$20/night doesn’t sound too bad. EAT LUNCH AT THE PARK. If you are going to eat at the park, make your biggest meal lunch. The lunch menus are more affordable and you still get SO much food! FREE WATER BOTTLE FILLER STATIONS. Throughout the the park there are stations where you can fill water bottles up for free. Bring your own water bottle and have nice cool water to drink all day long. FREE SPECIAL OCCASION PINS. 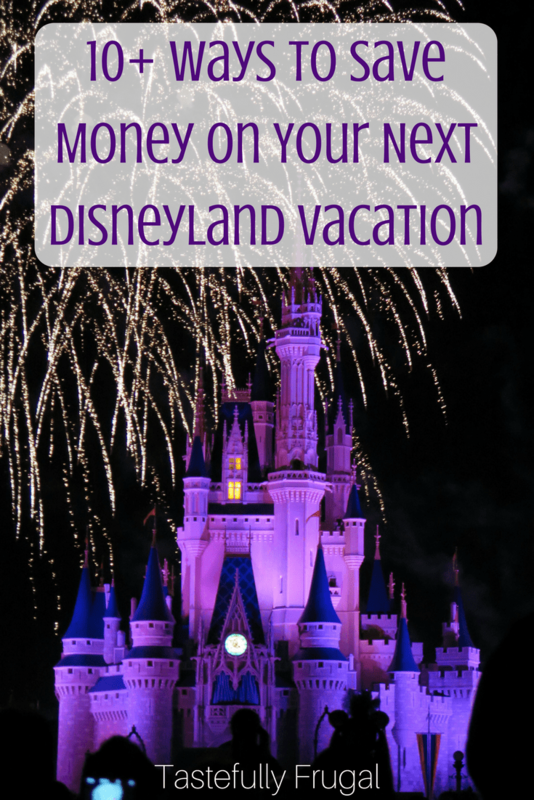 If you’re going to Disneyland for a special occasion (birthday, honeymoon, anniversary, etc.) stop by City Hall to pick up your special button for FREE. TAKE A HOTEL SHUTTLE, OR UBER, TO SAVE ON PARKING. Parking at Disneyland can be expensive. Like looking for a hotel that offers continental breakfast, look at the hotels that offer a free shuttle to and from the park too. This will save you $20+ per day. GO WITH ANOTHER FAMILY AND SPLIT LODGING COSTS. If you have friends, or even family, you’re close with invite them to go to Disneyland with you too. There are a lot of hotels that offer multiple room suites, or condos you can rent, that are close to the park. Not only does it make the cost of the hotel stay less expensive but it makes the park a little more fun too! Who doesn’t want to spend a day with their friends at Disneyland?! GO DURING THE OFF SEASON. Not only will there be less people but the tickets will be less expensive too! This post is a great reference for the the least busy times and lets you know what you can expect during each month. BOOK WITH A TRAVEL AGENT TO GET THE BEST DEALS. My favorite is Get Away Today. 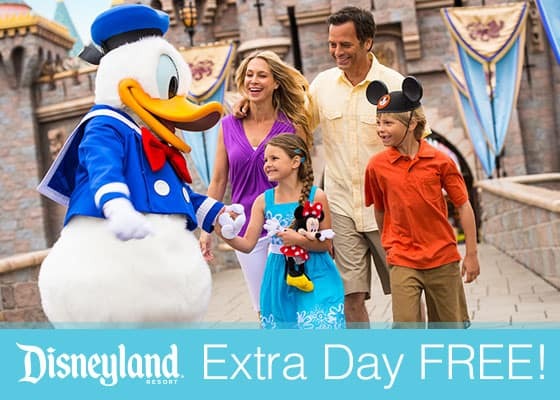 They offer specials all year long, like Extra Night Free Hotel and Extra Day Free Disneyland Park Hopper Passes. When you use code TFRUGAL, or mention Tastefully Frugal when you call, you can save $10 on your vacation package too! Now that you have a few ways to save money on your trip, it’s time to start planning! 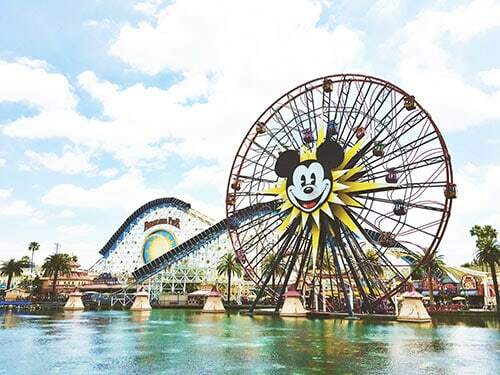 Want the chance to win a FREE 4 DAY TRIP TO DISNEYLAND?! 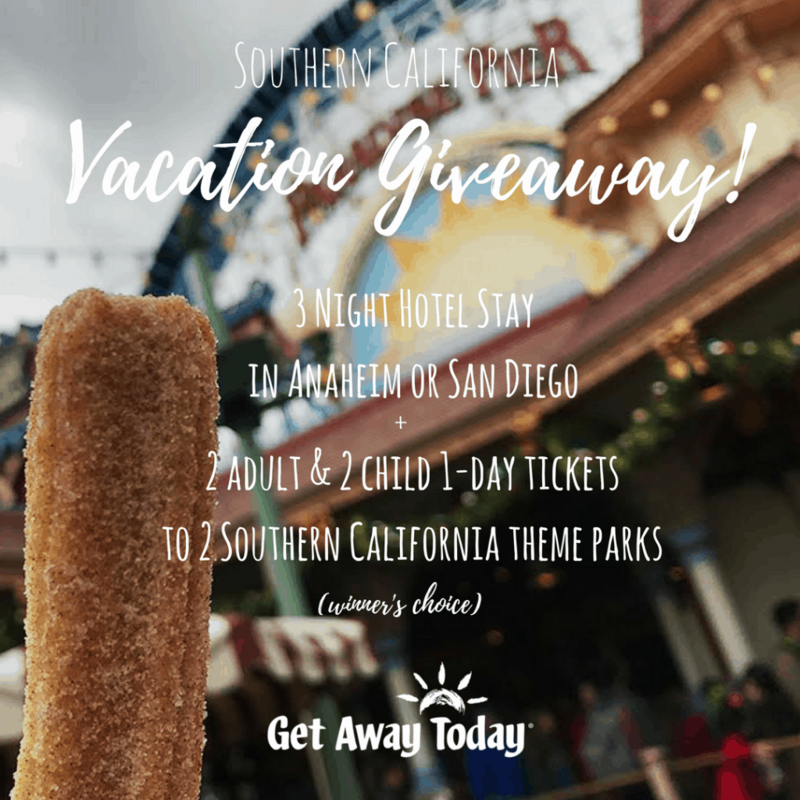 Check out Friday’s post and enter for the chance to win a Southern California Vacation.